Scheme will help will the absorption of families of returning Israelis and new immigrants to areas in northern and southern Israel. Under a new program to encourage more new immigrants to Israel (olim) to settle in peripheral areas, the Ministerial Committee for the Development of the Negev and the Galilee on Monday authorized a new plan for the absorption of families of returning Israelis and new immigrants to areas in northern and southern Israel. The plan will provide financial assistance in the form of grants, rental and mortgage assistance, and help in job searches. NIS 1,200 will be provided in rental assistance, and those seeking a job will be eligible for a payment of up to NIS 5,600 for expenses incurred in the job search. The assistance per family will amount to about NIS 20,000. 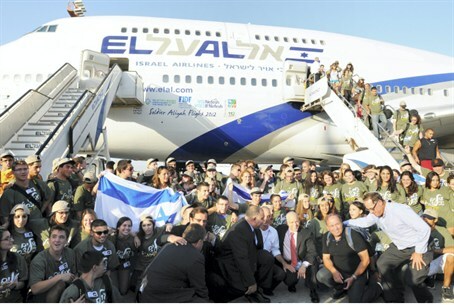 The Ministry will conduct “pilot trips” aimed at Israelis living abroad, to show them the advantages of living in areas outside of central Israel. The trips will begin next March. A new web site will provide full information on communities, benefits, and job opportunities in the areas. This is the first time that substantial benefits are being offered specifically for returning Israelis choosing to settle in the Negev and Galilee. Most of Israel's population (around 70%) is concentrated in the coastal strip of central Israel, outside of Judea and Samaria - as is most of Israeli industry (80%). But a growing population and limited space in the center has rendered such an arrangement unsustainable, most notably illustrated in a chronic housing shortage and the inability of young Israelis to afford much of what is available. In recent years, the Israeli government has sought to combat the problem by encouraging both native-born Israelis and immigrants to consider options in the so-called "periphery"; namely, the Negev in the south and the Galilee in the north.